Changing the oil on your Audi 3.0t engine is an important part of keeping your vehicle properly serviced. 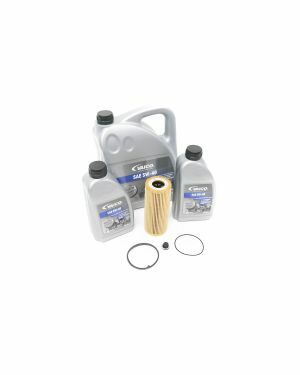 This oil change kit uses Vaico oil which is a trusted brand by the Audi community, and performance enthusiast in general. Its important to use oils that meet the quality spec required for your engine. This Vaico Synthetic 5W40 oil meets and exceeds the required Audi spec 502 00. Using this high quality oil will keep your 3.0t Audi engine running great.